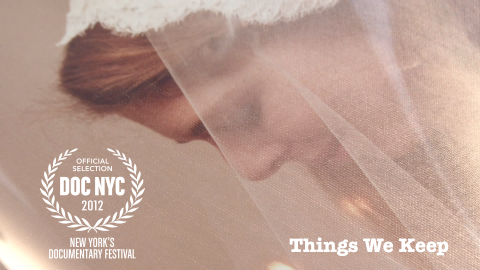 Things We Keep will premiere at DOC NYC, New York City’s documentary festival, on November 14th in the program “Home Movies and Other Memories” along with four other short films. The program will screen at the IFC Center in New York City at 9:30 P.M., followed by a Q&A with the filmmakers. Tickets are available after October 12. I’m thrilled to be attending this festival, which will include (among many other films) Venus and Serena, a panel on non-fiction storytelling moderated by Glenn Greenwald, and the US premiere of 56 Up, the latest installment in one of the great documentary series of our time. There will be countless other screenings, workshops, and events, and I encourage anyone in the NYC area to attend! just saw “things we keep”, great work! !